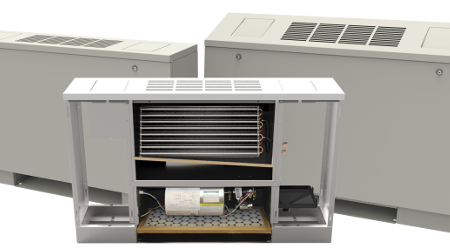 From design/build to large project retrofit, USA Coil & Air has almost every type and size covered when it comes to direct drive fan coil units. As one of the few remaining manufacturers of these smaller, high demand units, we not only provide you with the broadest range of design options to suit your installation or exactly match a replacement, but we have your unit when you need it. Vertical and horizontal fan coils, ceiling, wall and room mounted units can be designed for just about any need or requirement. Special control systems and valve packages included. The basic unit and cabinet is fabricated of galvanized steel. 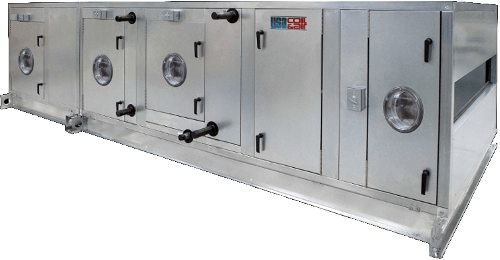 Many units have decorative cabinets fabricated of heavy gauge steel, bonderized and finished with an attractive, oven-baked paint. The condensate drain pan is fabricated of galvanized steel with closed cell, fire retardant, foam insulation coating. Water never touches the metal pain; thus, the possibility of corrosion is minimized. Removable pan extensions are available at the coil header end of the horizontal unit to provide positive control of condensate from valves and controls. This extension, being easily removable, provides ready access to valves and piping after unit installation. Vertical units have a removable front panel lined with 1/2” woven glass fiber for thermal insulation and acoustic treatment. Removal of the front access panel provides access for easy servicing. Coils have 1/2” O.D. copper tubes with aluminum fins mechanically bonded to the tubes. All coils are leak tested under water and are suitable for design working pressures of 250 psig @ 200° F. A variety of coil selections are available. 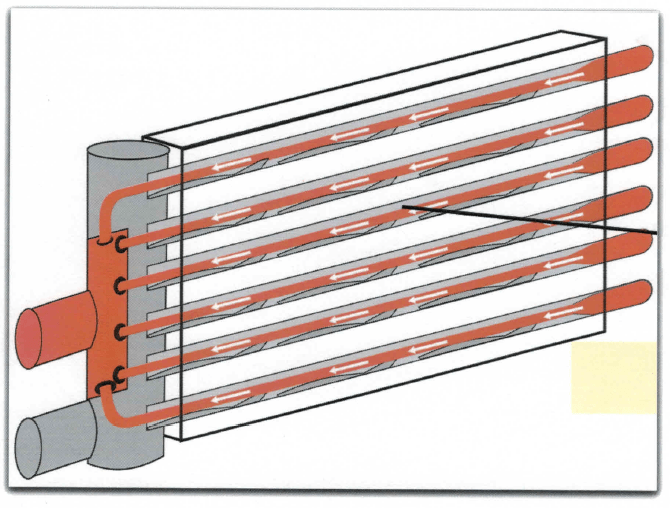 The standard coil provides adequate capacity for most installations with an 8 to 10° design water temperature rise. A high capacity coil is offered for those installations requiring higher latent heat capabilities or those designed for a 12° water temperature rise. Also offered is a fourpipe coil consisting of standard or high capacity cooling with one and two rows of heating surface. Standard filters are 1” throwaway glass fiber. Optional cleanable filters are available. The fans are centrifugal, forward-curving, double-width wheels. Blower housings are galvanized steel with special rolled perimeter seams to provide added rigidity. All motors are resilient-mounted, three-speed, with UNDERWRITERS listed thermal overload protection. Motor bearings are of the sleeve type of ball bearing type with oversized oil reservoirs provided to assure positive lubrication with minimum servicing required. Positive speed reduction is assured through careful matching of motor torque to blower loading. Standard motors are permanent split capacitor. All horizontal and vertical series units are certified in compliance with AHRI. All units are also listed by UNDERWRITERS’ LABORATORIES, INC. 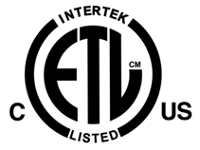 This listing signifies that USA Coil & Air’s fan coil units have been examined by UL and found to be in complete compliance with applicable standards.